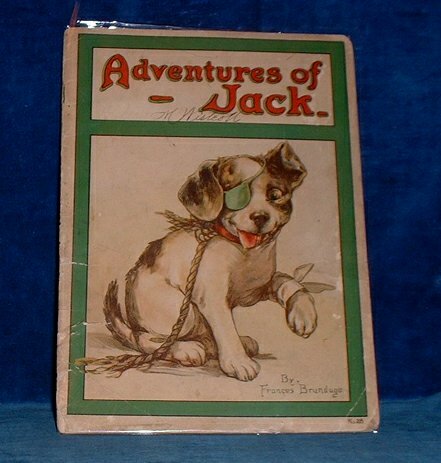 Description: Rochester New York USA, Stecher Lithographic Co 1921 Chromoliths (8 incl.covers) + 8 red/black large illustrations of puppy & children by Frances Brundage. . 266x192mm pictorial card covers (some edge-chips and 1cm corner loss not affecting printed area to cover & 1x3.5cm loss to Lower cover just touching black line frame/name M Westcott on cover) pp. Some splitting to spine but no child coloring, no tears lovely and clean. *Nicely illustrated puppy dog story.